Delmer (Del) L. Pharis, 87, of Porterville, California passed away on February 7, 2019. Del was born August 5, 1931 in Rocky Ford, Colorado to Jewel and Myrtle Pharis. His family moved to Strathmore, California in 1937. He attended Strathmore schools, graduating from Strathmore High School in 1948 serving as senior class president. Del attended Porterville College, and Cal Poly San Luis Obispo where he studied Architectural Engineering. In 1951 he joined the Navy (Seabees) until he was honorably discharged in 1955. He helped build U.S. airbases in the Philippines and Adak, Alaska. Del married Joan Perkins in 1954 and began their life together starting a business and raising two children. In 1955 Del and Joan bought the family lumber/hardware business from his parents, later obtaining his State General Building Contractors license, and starting Del Pharis Construction Company. He ran both businesses until his first retirement in 1985. Del worked for the Tulare County Building Department for ten years and the City of Visalia for five years as a building inspector. He finished his working career at age 78 as an inspector for a private company (Wildan). 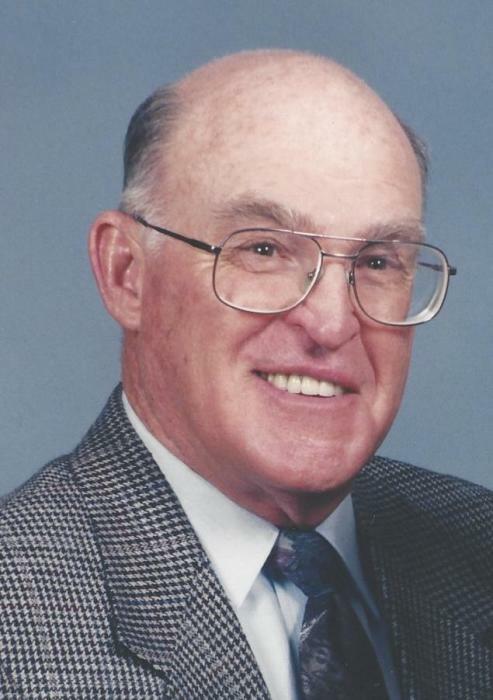 Del was civic minded and always gave his time to his community, serving as President of the Strathmore Lions Club, President of the Strathmore Chamber of Commerce, and active in the Strathmore High School Booster Club and the local election committee. Del was elected to the Lindsay-Strathmore Veterans Memorial Board serving over 20 years. He served as an elder and a deacon at St. Andrews Presbyterian Church in Strathmore and attended First United Methodist Church of Porterville. He enjoyed spending time at family homes in the mountains and the coast, doting on his children, grandchildren, and great-grandchildren, traveling the world with Joan and friends, and was an avid golf and 49ers fan. Del is preceded in death by his parents, brother Chet Pharis and sister Mary Ellen Lawless. Del is survived by his wife Joan of 64 years, daughter Lori Wright, son-in-law Keith, son Michael Pharis, daughter-in-law Jane, and grandchildren Cory Anderson (Debbie), Ryan Wright (Noël), Whitney Wright, Derek Pharis, Allison Pharis, and Bryson Pharis, great-grandchildren Wyatt and Julianne Wright, Jax and Jace Anderson, sister Betty Noel, sisters-in-law Ardis Pharis, Eleanor Clark, Marcia Holland (Jim), brother-in-law Louis Lawless, and many nieces and nephews. Visitation will be on Thursday, February 14, from 3:00-7:00 PM at Webb-Sanders-Smith Funeral Home in Lindsay. A memorial Celebration of Life service will be held on Saturday, February 16, at 4:00 PM at the First United Methodist Church in Porterville, 344 E Morton Ave. Interment will be private. Memorial donations may be made to American Heart Association or the American Parkinson’s Disease Association.